Before Christmas, Samsung Galaxy Note 9 has launched Snow White color variant in Taiwan. The originally launched color variants are- Lavender Purple, Midnight Black, Metallic Copper, and Ocean Blue. The Ocean Blue variant of Samsung Galaxy Note 9 had different color S Pen i.e. Yellow but the Snow White color variant has S Pen of the same color. In early December, the Samsung Galaxy Note 9 Snow White variant will be exclusive via Samsung Experience Hall, Samsung Mall, Samsung Smart Pavilion, and NT Telecom. It will come with 128GB ROM which will cost TWD 30,900 (approx. Rs 70,500). The India Launch event was attended by DJ Koh, President and CEO of IT & Mobile Communications Division. This will also be his first official India Trip. The price of the Galaxy Note 9 was listed on Samsung’s official website prior to the India launch . The Galaxy Note 9 has been priced at Rs 67,900 for 128GB/6GB RAM, while the high- end variant 512GB/8GB RAM is retailing at Rs 84,900. Potential buyers will have three color options to choose from including Midnight Black, Ocean Blue and Metallic Copper. Rs. 6,000 cashback for HDFC Bank card holders. Buyers who have already made pre-orders can own a Gear Sport worth Rs. 22,900 for just Rs. 4,999. Samsung Shop is offering an Exchange discount of up to Rs. 6,000. Airtel customers can purchase the 6GB RAM/ 128GB Note 9 via the Airtel Online Store for a down payment of Rs. 7,999 and 24 EMIs of Rs. 2,999. Furthermore Airtel has bundled together an exclusive offer consisting of 100GB data per month (with rollover), 1 year Amazon Prime membership among others. 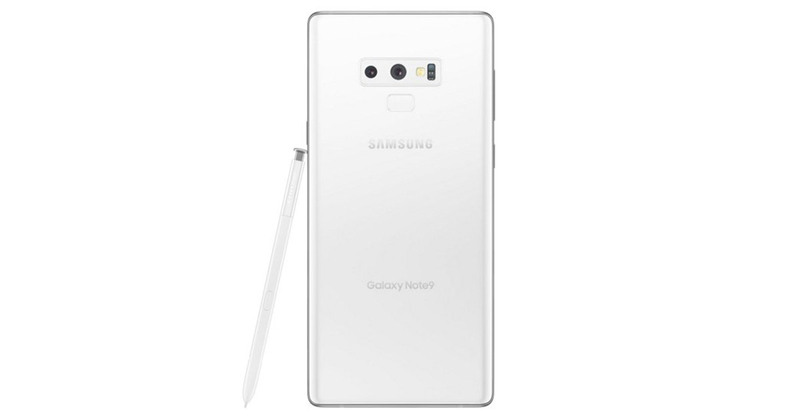 The key highlighting feature of Galaxy Note 9 is that it has a stylus (S) pen which can be used to write, notes or memos directly on the screen of the smartphone. Obviously, the flagship smartphone looks attractive in terms of appearance as it is developed with premium design and double glass panel. The flagship smartphone offers bezel- less display and its smooth rounded design not only good in terms of appearance but also feels good when you hold the smartphone in your hands. The Galaxy Note 9 comes with a 6.4-inch edge-to-edge display along with 1440 x 2960 pixels resolution while in terms of hardware, it gets a modern Qualcomm Snapdragon 845 SoC coupled with 6GB/8GB RAM and 128GB/512GB internal storage. It is worth noting that variants capacity might depends on the market availability. Ocean Blue is a different color being offered by Samsung in Galaxy Note 9 which comes with yellow color S-pen while other colors variants have the same color of stylus pen as the smartphone. It runs on top of the line Android Oreo 8.0 Oreo operating system and soon to come with Android Pie. In terms of photography, Samsung Galaxy Note 9 comes with horizontally placed dual 12MP cameras on the rear panel and fingerprint scanner positioned underneath the rear cameras. Up front, the smartphone has the 8MP front-facing camera. The camera set up comes with Artificial Intelligence powered (AI) capabilities which offers face detection technology and informed to the users instantly if any of the photos captured blur and warn to capture the photos again. It will be powered by a 4,000mAh battery that supports fast charging via cable as well as wireless charging.